Skip Navigation LinksHome > Schools > Are You A Parent Or Guardian? As a parent or guardian you know that this is a crucial time for your son or daughter when making decisions for their future career paths and deciding where and what to study. 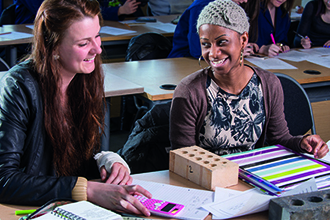 At Edinburgh College we want to help support you in what can seem like a daunting decision making process. We understand that the world of education is changing all the time and it’s important that you have the information you need to advise and support your child. In this section of our website you can find out more about the options for your child at Edinburgh College, including studying at college whilst still at school through the following options: Schools College Partnership Programme / Academies / Foundation Apprenticeships / Future Steps. You can also find other useful information around college life, student funding and fees and key dates for attending our information and open days. Some other useful tools include the Skills Development Scotland (SDS) website My World of Work​ which will help you understand the options available to your child. 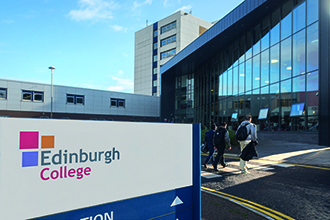 If you would like to make an appointment to talk to one of our course advisers please call 0131 660 1010 or email courseinfo@edinburghcollege.ac.uk. We hope you find the information useful to help you advise your child so that they can make a more informed decision about their future.